Sky Q is getting a new Split Screen mode. Yes, we can hear you saying that's been done before in some televisions and didn't work then and hasn't appeared much since. That's because it was never done right, until now. 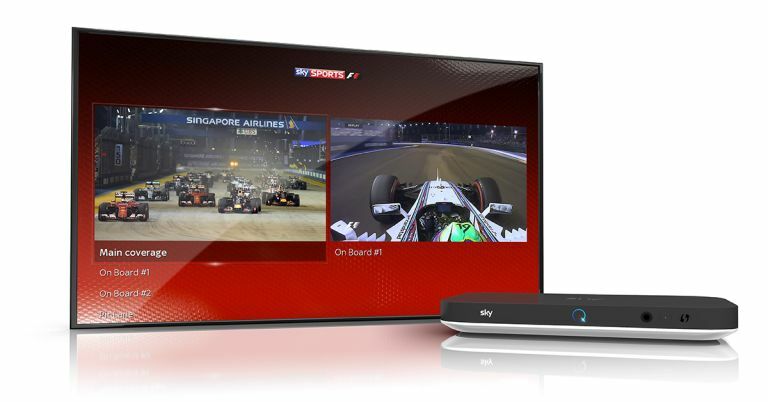 It sounds like Sky has taken the split screen idea and made it more useful. This mode will be reserved for sports, initially at least, as it will works specifically for them. So if you're watching a live Premier League football match but have joined late you could set the other split screen to show highlights from the game to catch you up, without missing the live action. Another option is to offer multiple angles of the same sport, ideal for Formula One if you want a driver's perspective as well as an entire race view. You could watch a game live while having Sky Sports News running along the side to keep abreast of all the other sporting news, scores and tables at the same time. Finally you can simply have two games running side by side for, say, football or tennis, allowing you to keep track of all the action. This should be simple enough to use with a tap of the red button to open the Sky Sports app on Sky Q. Then you simply pick which stream you want from Match Choice, Race Choice or Highlights to watch clips alongside the main event. Sky has also announced it will add the Sports Start Over feature next year so even if you come late to a game you'll be able to start it from the beginning. Sky has also announced voice search will be added in the future. Both should apply to Sky Q only, initially at least. Upcoming events that will support these features are: World Cup Qualifiers for Live Streams mode on 6 Oct to 11 Oct, Live Streams and Video Clips for the F1 Japan on 7 Oct to 9 Oct and finally Live Streams for the ATP Shanghai on 11 Oct to 14 Oct.